When visiting Dubai the most important thing to consider is the list of rules for public places dressing. Next in line is the hot and humid weather of Dubai. Consider these and some other factors; here is some essential stuff to carry when visiting Dubai. A light umbrella is essential in summer. The weather is extremely hot and humid. This means that it is essential to protect you from the sun, hydrate yourself thoroughly with mineral water. 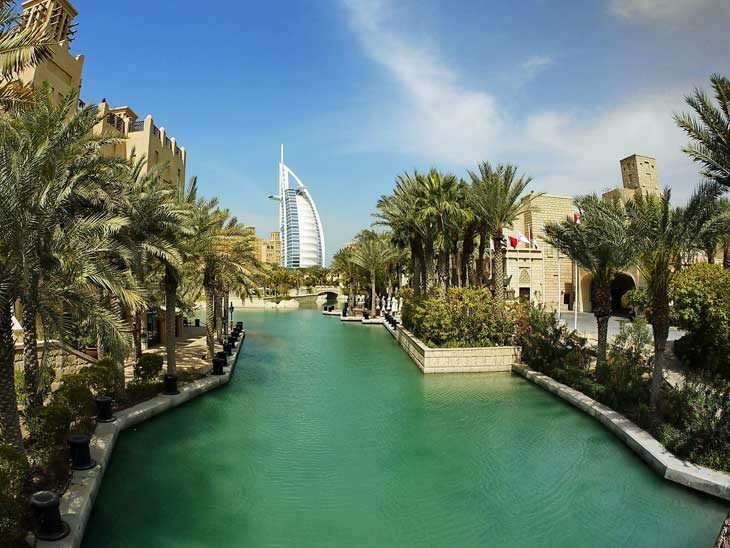 Lightweight cap or hat, moistened wipes, sunscreen (preferably sports sunscreen) and clothes as light as possible are the foremost things one should carry when travelling to Dubai. As far as clothes are concerned women should wear trousers or knee-length skirts, sleeveless sweaters and no cleavage. Men should wear trousers and shirts or social shirts. It is strongly recommended to have knit shirts, as light as possible. Take a lightweight backpack with a small towel moistened in a plastic bag, or baby wipes and also sunscreen spray bag. As stated before the weather of Dubai is very hot and quite humid. Do not wear too much clothing, organize for days and repeat some conjugated parts differently; it is very tiring to walk with a suitcase full of side to side. For boys, there is practically no restriction. They can wear shorts and slippers; nothing different from the day in your country (which is very hot), just do not walk, shirtless, of course! Some restaurants also require social attire, so you must have at least one social shirt and one shoe in your suitcase. Next, visitors especially with spectacles need to have a specs cleaner or softener for the blur of spectacle lenses. This is because as soon as you leave air conditioned place the specs get blur. Same goes for the lenses of cameras and camcorders every time you leave a refrigerated place, even a taxi. It is inevitable and if you do not have a cleaner you will have to wait for a few minutes until all the moisture condensed on the lens is finished or the whole body of camera returns to room temperature. Be very careful about exposing cameras to the sun as this can simply seriously damage them. It is highly recommended to keep extra covers and lens caps along with a bag so that you can keep them as shady as possible, even if it is hanging on your body’s back. As for visiting places in Dubai, especially mosques, they require clothing that respects customs and traditions, that is, in order to enter religious sites they must wear long trousers or skirts, covering full body, and long trousers in case of men. As for footwear, the ideal is to have something soft and comfortable. Soft loafers are still the most appropriate option. In mosques you have to take off your shoes before you go in, so in those visits, use something more practical, some sandals, some Hawaiian, some espadrilles, for example. It is suggested to carry disease specific medical stuff along such as inhalers, antihistamines, anti-inflammatory or even a broad-spectrum antibiotic. This is because the medical formulas might differ than those available in your country or suggested by your doctor. So that’s all, these are the most important things you should carry along when travelling to Dubai. If it is difficult to carry all this stuff in your suitcase, you do not need to worry, as all these essentials are widely available in Dubai too. Throughout her career, Sarah Feldman has worked as a correspondent with global property consultants and researched about different development projects like The Sustainable City Dubai, One Palm , Estella Villas, Bromellia Villas and other luxury residential projects. She attended many conferences and seminars of property consultants which made her produce her own genuine property content work.